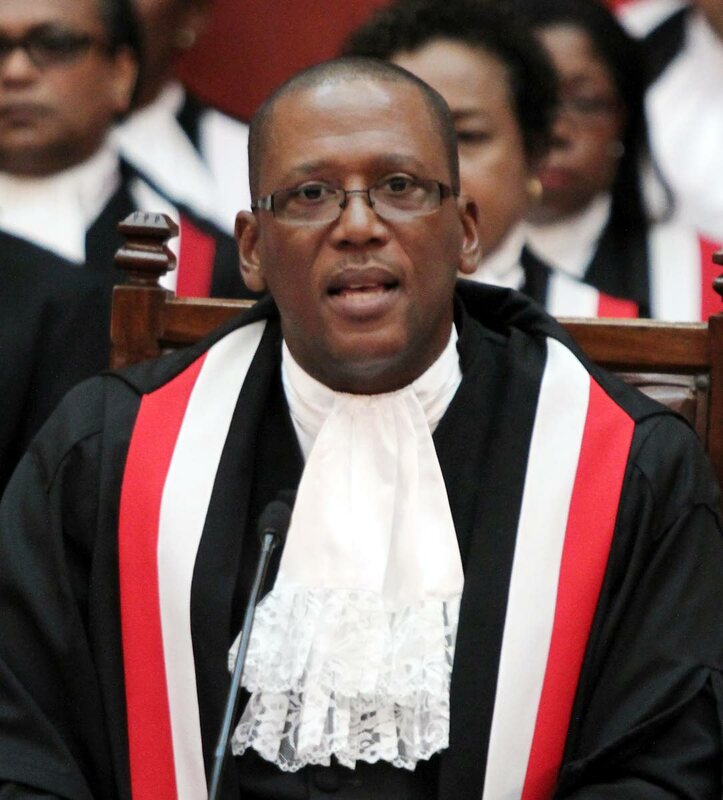 CHIEF Justice Ivor Archie says he believes there is a “concerted effort” to unlawfully drive him from office. The Chief Justice yesterday made good on his threat to file legal action against the Law Association which challenges the legality and constitutionality of the investigation of misconduct against him. Archie’s judicial review claim was filed just after 2 pm in the High Court and by 5 pm, his attorneys and those for the association were before Justice Nadia Kangaloo at the Hall of Justice in Port of Spain. The Chief Justice also put in an appearance at the hearing but not before the judge said it would be in his best interest to be present. He came towards the end of the hearing when attorneys for both sides came to an agreement to have the matter fully ventilated on Friday at a “rolled up” hearing. This means the judge will hear the application for leave, the substantive claim for judicial review and any preliminary points of contention by either side. Already, the association’s lead counsel Christopher Hamel-Smith, QC, has questioned the promptness in bringing the action __ claiming it falls outside of the three month period for bringing such actions __ and the need for urgency. Archie’s legal team, led by John Jeremie, SC, says the matter was urgent since the action seeks to have the court review the continuing action by the association to investigate the Chief Justice and has set a meeting with its membership on March 15. In an affidavit filed in support of his claim, Archie contends that the “reckless” and concerted series of publications in the press, which contained allegations against him, were “highly defamatory” in that they “falsely improperly and maliciously” suggested that he was corrupt and have corruptly used office in concert with convicted felons. The allegations which had concerned the association were that he discussed the matter of personal security for judges with someone outside of the judiciary and that he recommended people to the Housing Development Corporation for accelerated housing grants. A five-member committee was established to do its own investigations into the allegations and the association on Friday sent a report to its two external counsel to determine whether there are sufficient grounds to petition Prime Minister Keith Rowley to invoke the impeachment provisions of section 137 of the Constitution against the Chief Justice. Archie, however, says these allegations are “wholly false” and appear to be part of a concerted effort, unlawfully, to damage the Judiciary, impair the confidence in the administration of justice and drive him from office outside of the section 137 procedure. Reply to "You’ve been served"